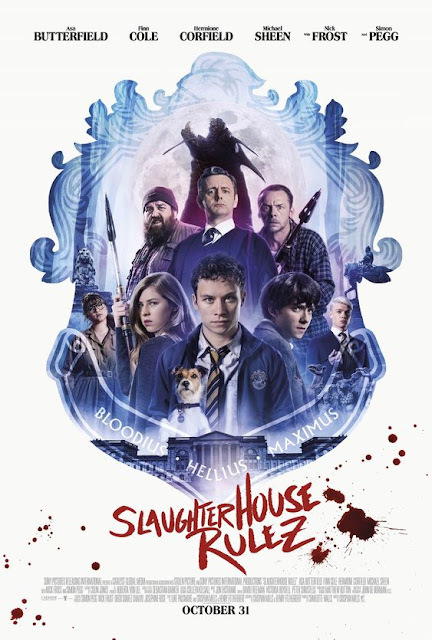 Nick Frost and Simon Pegg return to horror in 'Slaughterhouse Rulez'. Directed by Crispian Mills it stars Asa Butterfield, Finn Cole, Hermione Corfield, Michael Sheen with Nick Frost and Simon Pegg. The film opens 31 October fire Ireland and the UK, no US date as of this moment.